Is there a better alternative to Circles in Rectangle? Is Circles in Rectangle really the best app in Mathematics category? Will Circles in Rectangle work good on macOS 10.13.4? 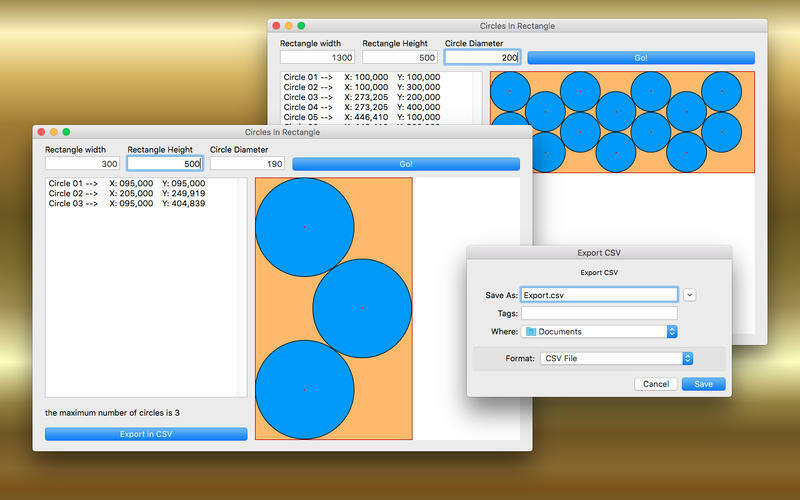 Circles in Rectangle allows you to optimize the space occupied by the circles within a rectangle. 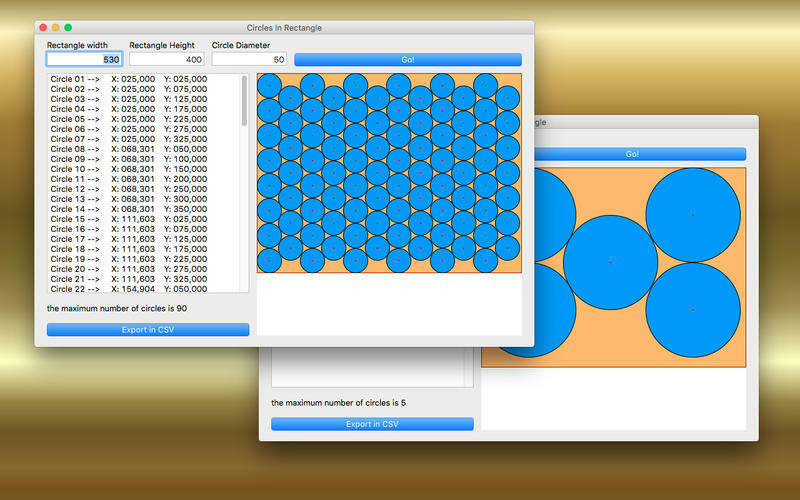 You can set the size of rectangle and circle diameter. This App calculate for you the max circles possible and show the picture result. You can also export data in CSV file. Circles in Rectangle needs a review. Be the first to review this app and get the discussion started! Circles in Rectangle needs a rating. Be the first to rate this app and get the discussion started!